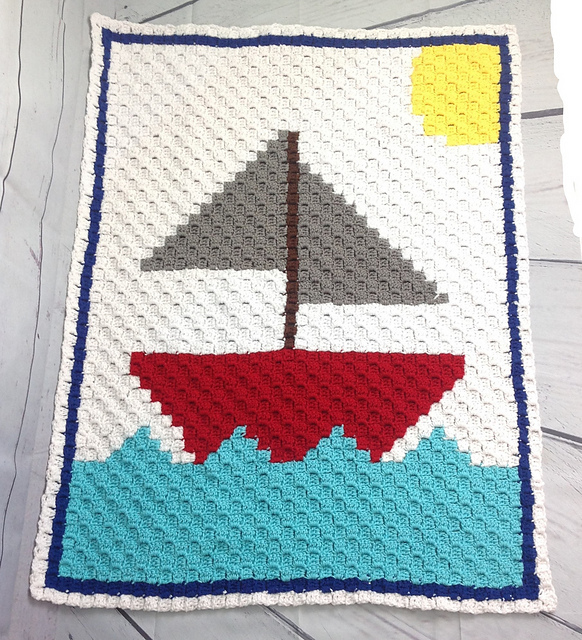 A lovely blanket with a theme for a holiday trip. 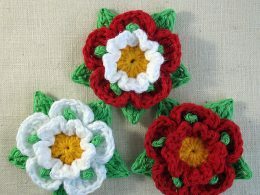 Is made with the popular C2C method. It is very easy and easy to learn. This is a free pattern. The blanket is very soft and cozy. 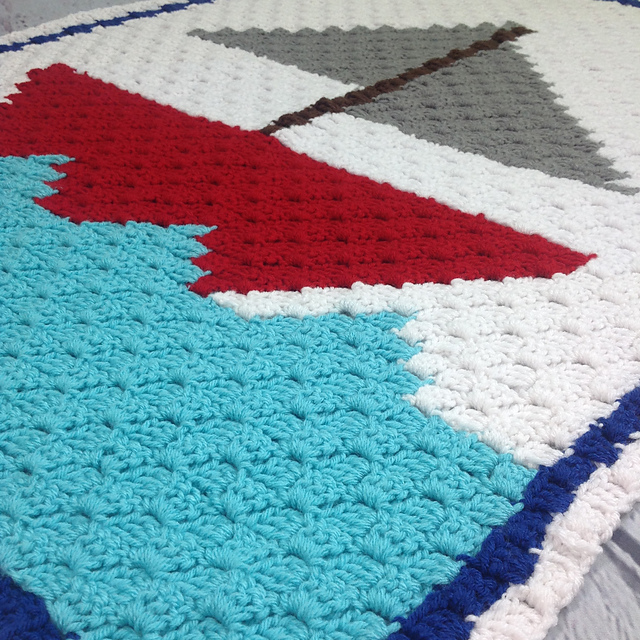 You can make a blanket of any size. It all depends on how many rows you add. You will spend very fantastic moments with this pattern. Find free time, take out the tools you need and start a great adventure. Use the following to work Hobby Lobby I Love This Yarn! And a hook of size 5.5 mm (I).